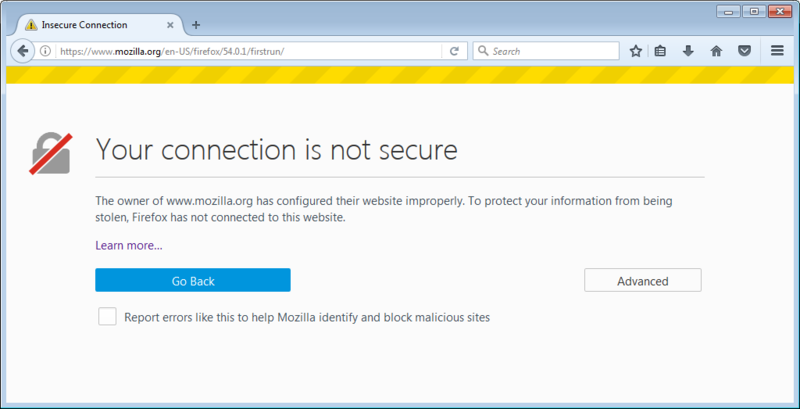 After installing Firefox 54.0.1 on my work laptop, the first page I see warns me that "Your connection is not secure" when opening https://www.mozilla.org/. "The owner of Firefox has configured their website improperly"
After browsing a bit more, I noticed that Firefox wasn't just reporting errors for Mozilla. Firefox is reporting HTTPS security errors for Google, Microsoft, Dropbox, GitHub, Wikipedia, LastPass, Netflix, Facebook, Twitter, Skype, WhatsApp, WolframAlpha, Amazon, LinkedIn, AutoHotkey, Yahoo, Imgur, and even Stack Exchange. There are a few things worth noting about these errors. A select few sites load in Firefox without reporting any security errors, including Discover, Visa, Mastercard, Chase, American Express, Citibank, Capital One, Bank of America, PayPal, Stripe, Intuit, TreasuryDirect, iCloud*, Discord, and YouTube. It's worth restating that these security errors are happening on a work-issued laptop, meaning that my employer is most likely scanning HTTPS traffic. While HTTPS scanning can at least partially explain the HTTPS security errors, the situation still leaves me with a few questions. Why is Firefox the only browser reporting these security errors? 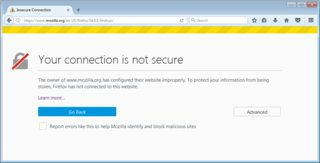 Why isn't Firefox reporting security errors on banking and financial websites? 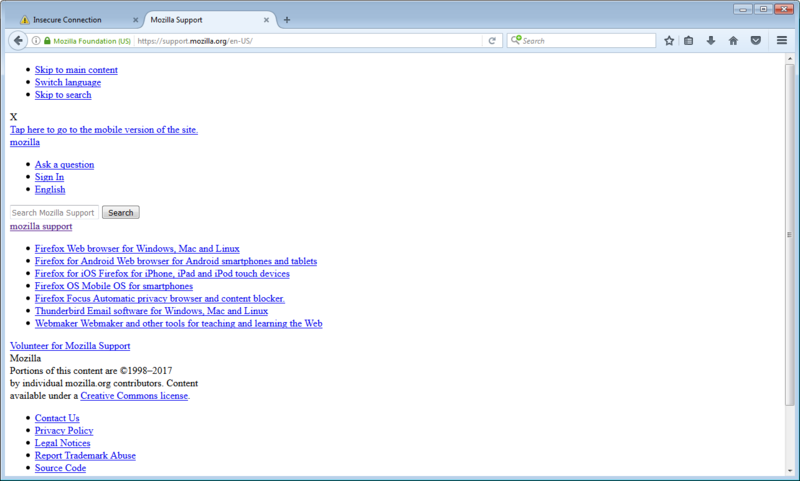 Why do some pages not report security errors, but only load as plain text? 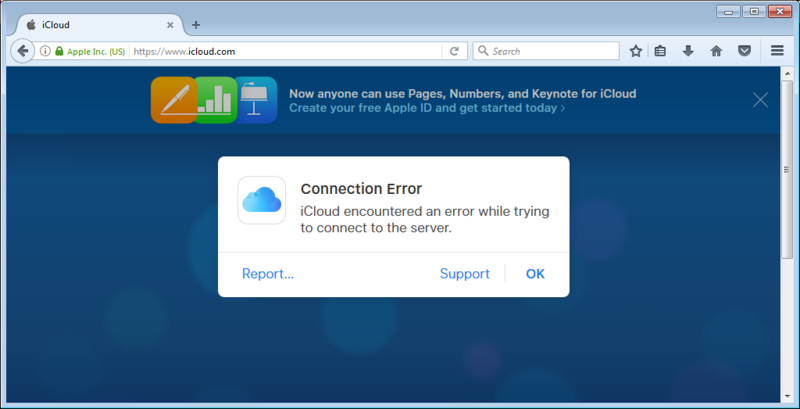 *Note: While iCloud did not report any security errors, the page did eventually fail to load with a connection error. There is a lot to unpack so I’ll do my best here (based on some assumptions). Firefox maintains its own certificate store which is likely the reason only Firefox is throwing these errors. Traditionally, SysAdmins will push out certificates through Group Policy, which works for both Chrome and IE / Edge but Firefox won’t trust it. I would imagine that your traffic is being intercepted by a transparent proxy server which is inspecting your traffic (note that looking at the certificate information will reveal whether or not this is a certificate that your work has pushed out). Assuming again, but your work is probably explicitly not filtering financial website traffic — presumably to avoid any potential liability with doing so. I have no idea why some load as plain text. This might be something to do with the proxying process. EDIT: As Arminius astutely pointed out, pages loading as plain text is likely due to certificate errors happening with resources being pulled from third party domains. It is likely that the images and CSS are not loading as the cert errors from those domains prevent the resources from being transmitted. As already said, Firefox use its own Certificate Authority store, managing it from a company point of view is hard and usually not worth it when Chrome is allowed. HTTPS inspection by a transparent proxy is usually not allowed by laws as it would break the banking confidentiality of the user and is generally considered as illegal. Usually (from what saw) it is because the front page is categorized as 'should not be intercepted' as financial sites are (which is the case for Wells Fargo on bluecoat's list here), but the images come from another CDN, so the interception fires on the CDN and the images are not loaded because the authority certificate is unknown to Firefox. In my case, Avast was interfering with proper site loading on Firefox but it was fine on other browsers. I un-ticked "scan safe connections" in the Web Shield settings and my problems were solved. Not the answer you're looking for? Browse other questions tagged tls certificates man-in-the-middle firefox or ask your own question. Is it common practice for companies to MITM HTTPS traffic? Should I be concerned if my employer is performing man-in-the-middle HTTPS attacks? Is it safe to login to my bank account from work? How is this SSL spoofing possible? Why does Firefox claim that my connection to Google is insecure? https: Is my company connection intercepted?